← Stan and Lois Celebrated St Patrick’s Day with the Monroes, Glenn and Donna!! 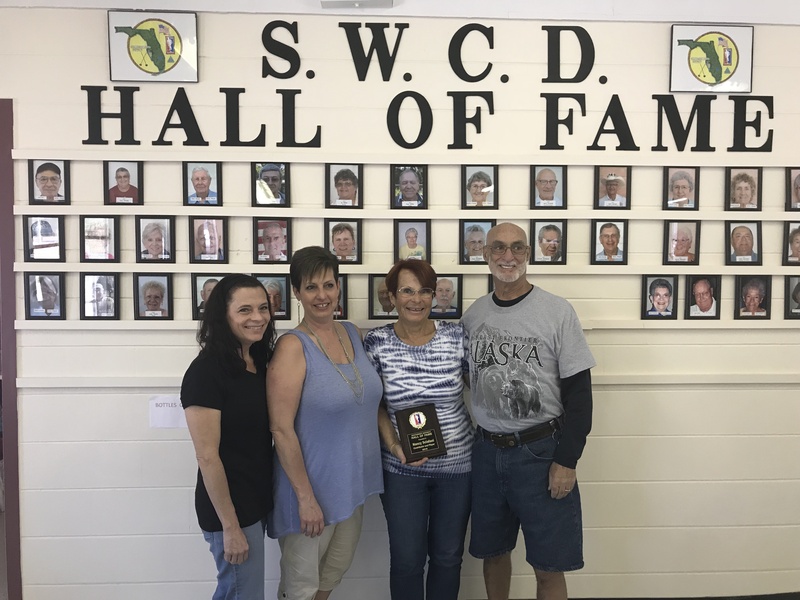 SWC DISTRICT HALL OF FAME INDUCTS ONE! PICTURED ABOVE IS NANCY WITH HER HUSBAND MIKE, AND HER TWO DAUGHTERS. 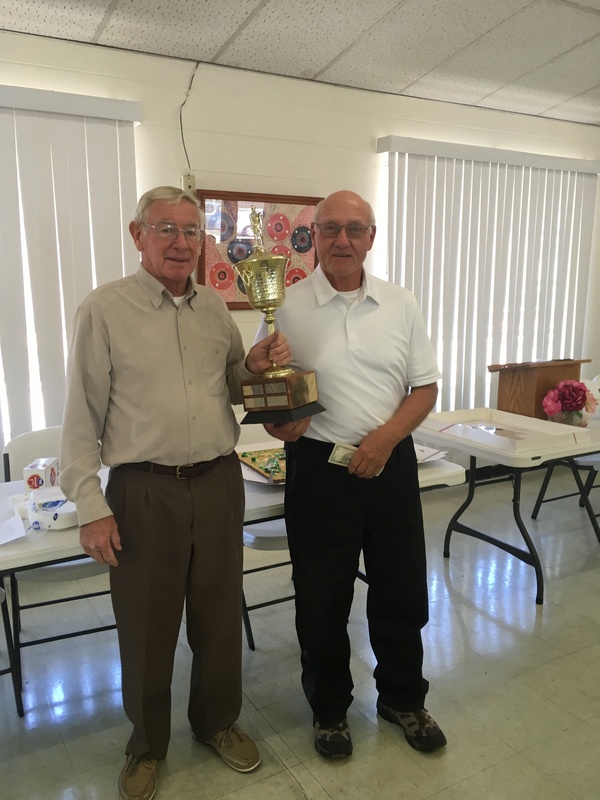 THE ANNUAL SWC DISTRICT HALL OF FAME LUNCHEON WAS HELD FRIDAY MARCH 16th PRECEDED BY THE ACCOMPANYING “HOSS COLLAR” FUND-RAISER TOURNAMENT. THIS YEAR’S HALL OF FAME INDUCTEE WAS NANCY SCLAFANI. SHE REACHED THE 200 DISTRICT POINTS NEEDED JUST THIS PAST WEEK! AFTER MOVING TO THE SWCD IN 2010, THE “FIREY REDHEAD” HAS TAKEN THE DISTRICT BY STORM. HER 200 POINTS WERE ATTAINED LAST WEEK BY WINNING THE SWCD “MIXED DOUBLES” TITLE WITH PARTNER JIM MILLER. PICTURED ABOVE IS NANCY WITH HER HUSBAND MIKE, AND HER TWO DAUGHTERS. 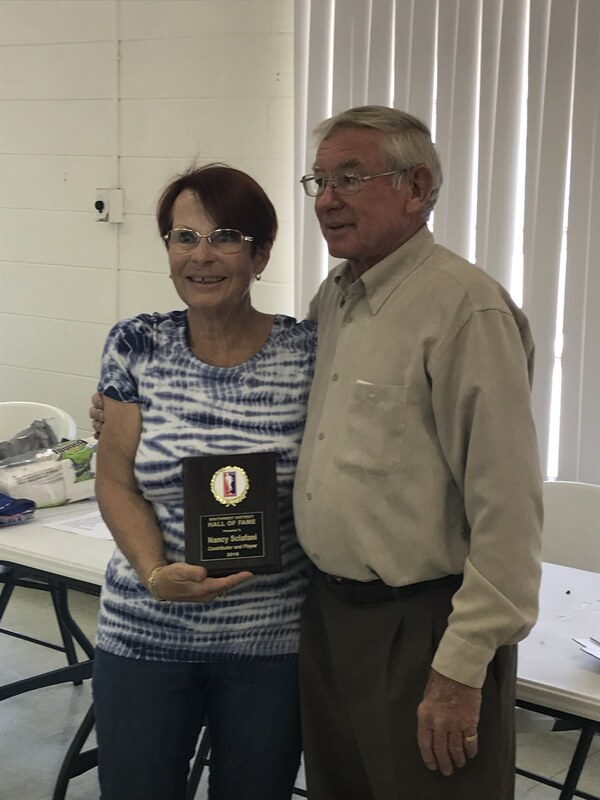 ALSO PICTURED IS SWCD PRESIDENT JERRY STANNARD, PRESENTING HER WITH HER 2018 HOF PLAQUE. Many Thanks go to SWCD President Jerry Stannard for implementing the SWCD HOF IN 2016. Stan Speaks: Thank You Ron for Your Fine Reporting.